Ranbir Kapoor said that people do extraordinary things when they are in love and says that it is a beautiful positive place in a relationship to be with someone. Ranbir Kapoor and Alia Bhatt's new relationship has become one of the most talked-about topics in the industry. A few days, Ranbir admitted dating Alia in an interview with GQ and said that "It's new for us, so let it cook a bit." 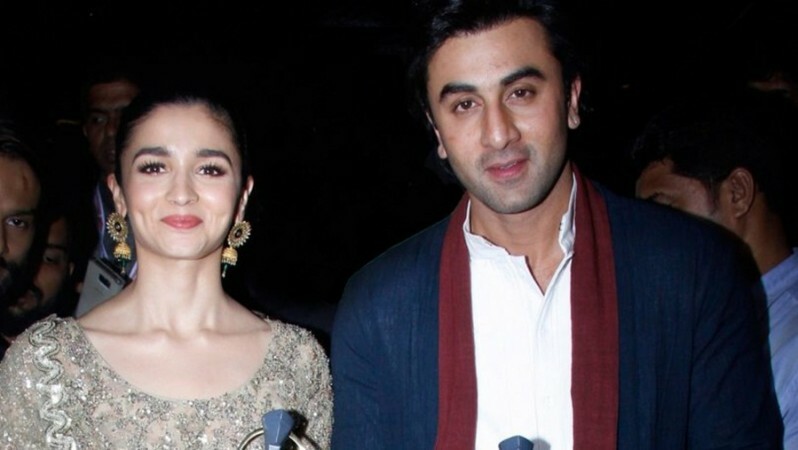 And it looks like their relationship has finally started cooking up as Ranbir candidly spoke about being in a relationship with Alia Bhatt and how it is a positive impact in his life. "It's only positive and more so because we are working on a film together, and I really admire her as an actor. To see her have so much of colour, so much of spontaneity, so much hard work, so much of discipline is quite rare. It's amazing. It's been 10 years for me in this industry, little lethargy, a little chalta hai type attitude comes in. So it's rejuvenating for me as an actor to be with Alia," Ranbir said in a recent chat with Rajeev Masand. Ranbir further said that people do extraordinary things when they are in love and says that it is a beautiful positive place in a relationship to be with someone. "I think every human being does extraordinary things only when they are in love. So I believe that love is something which is a privilege if it comes in your life and to be in a happy, beautiful positive place in a relationship with, it could be with a girl, a guy, with a friend, your mother, your father, or anybody but when there is some genuine love, it's really beautiful," Ranbir opened up. Going by his statements, it looks like Ranbir is madly in love with Alia and in a happy phase of his life. It seems like Ranbir and Alia are also quite open about their new relationship and can be seen indulging in PDA on social media. But it looks like Karan Johar is not happy with them for exposing their chemistry to the world so soon. The two are currently shooting for Ayan Mukerji's Brahmastra which is being produced under Dharma Productions banner. "Karan knows when to use Brahmastra. The film will release on Independence Day next year and there is a lot of time till then. It doesn't make sense for these two actors to expose their chemistry so soon. If they endorse a brand together during Brahmastra, it will also help the film," a source was quoted as saying by Deccan Chronicle. Well, it looks like things are getting heated up very quickly between Ranbir and Alia.